At first mix the baking powder well with the flour. In separate bowls sugar must be well mixed with sugar. Now the yeast is divided into two parts and one has to mix the cocoa powder. Oven puffy pots will be baked on a yeast and another yeast, in the microwave oven to 4 minutes. 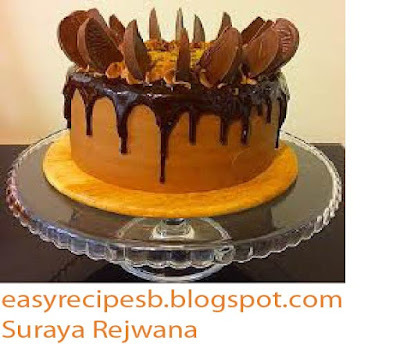 Dark chocolate, fresh cream and water in the oven for 30 seconds to be poured over the cake. Finally serve this delicious cake.